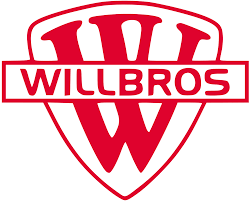 Willbros Group – In a filing with the SEC on September 12, 2016, Mill Valley, California-based Lawndale Capital Management, LLC and its affiliates (“Lawndale”) filed a form 13D in Willbros Group (NYSE: WG), reflecting 5% ownership and calling for improvements in the company’s corporate governance policies and board composition. Activism is on the rise. When and how can activist shareholders in the boardroom be a force for positive change? Directors need to be prepared. Janet Clark, Darren Novak, Brian L. Shorr, and Andrew Shapiro discuss the issues around strategy and corporate governance at an NACD board leadership conference. 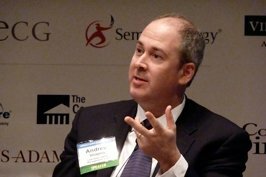 Guest Post: Andrew Shapiro is Founder, President and Portfolio Manager of Lawndale Capital Management, an investment advisor that has managed activist hedge funds focused on small- and micro-cap companies for over 21 years, one of the longest periods of experience deploying an activist/relational investment strategy today. Has the Council of Institutional Investors (CII) turned over a new leaf or am I only beginning to notice because they recently came out publicly agreeing with me? Three years ago a group of us petitioned the SEC to clarify that the same rules that apply to proxies also apply to voter information forms, VIFs. The group included Glyn Holton, Mark Latham, Eric M. Jackson, James P. Hawley, Andrew Williams, Andrew Eggers, Bradley Coleman and Erez Maharshak. SVDX/Stanford Rock: Two Classes of Common Stock: Qui Bono? I received the following from Andrew Shapiro, President, Lawndale Capital Management, LLC yesterday afternoon. This morning, the SEC released and approved final rules relating to Proxy Access. These rules were a bit changed from earlier comment releases and greatly limit practical use of the new rule. The full adoption release (451 pages) can be found at http://www.sec.gov/rules/final/2010/33-9136.pdf. I haven’t come close to reading the full release yet but several opinions come to mind. First and foremost, I am most pleased with and grateful that the SEC passed rules making it easier for shareholders of companies to submit 14a-8 shareholder proposals providing for proxy access rules that can be stronger and superior to the minimal and weak proxy access standard the SEC has passed this morning. Of course it is important that state laws support and provide for any stronger proxy access rule passed by shareholders to be mandatory and enforceable, not advisory. Criticisms of the minimalist SEC Proxy Access rule itself. Criticism 1) The idea of exempting small company boards from the increased accountability that proxy access might provide shareholders is frankly #ssbackwards. Shareholders of smaller companies, having already lost corporate governance protections from various other small company exemptions (e.g. certain Sarbanes Oxley provisions, etc) are most in need of proxy access to offset the more prevalent dysfunction found in small company board’s governance. Criticism 2) There are substantial fixed costs to conduct a traditional proxy contest to force accountability upon a poorly governed company’s board, regardless of that company’s size. This is a huge barrier to shareholders and entrenchment protection for bad boards and management’s of smaller companies. The costs saved for shareholders of smaller companies via the implementation of proxy access serve a far greater proportional savings and reform role than they do in larger company contests. Criticism 3) One particular aspect of proposed exemptions from proxy access for smaller issuers is the definition often proposed for “small company” which measures “public float” [generally of less than $75MM.] Use of “public float” to measure an issuers size rather than straight market capitalization exacerbates the basic problem. The more shares held by those “affiliated” with the issuer, the higher the overall market cap of the issuer that would gain the exemption and the more issuers that will be exempted from proxy access. Yet it should be quite obvious that the more shares held by affiliated parties, the greater likelihood of an insular, dysfunctional and completely unresponsive board. Thus this larger small company is also EXEMPT. Yet with 35% insider ownership, the accountability mechanism of proxy access is most necessary.Note again – with such high insider ownership in Company C, above, passage of a shareholder 14a-8 proposal to establish an even stronger proxy access rule (where it would seem most needed) is almost impossible. Criticism 4) The amount of director representation allowed under proxy access is limited to only 25% of a board rounded down. This means that, with boards of 7 or less directors, only ONE director can be nominated via proxy access. Note, with a director’s motion requiring a second to even get entered in a Board’s minutes, there is very limited influence a single director may bring to a board room, especially the most dysfunctional boards. The % membership cap should have been 33% or rounded up with a minimum of nominees always being TWO directors. Criticism 5) This rule will not greatly alter the amount of disruption, economic and otherwise, that takes place with proxy contests nor meaningfully reduce the number of traditional proxy fights. It is not being duly considered that 50% of the vote is still required to elect alternative nominees, whether on the company proxy via proxy access or on an alternative slate proxy. When the limited amount of director representation allowed under proxy access is coupled with the access rule’s restrictions against subsequently seeking additional representation (even when the additional director numbers comprise far less than change of control), the benefits of proxy access are not compelling when compared to the board representation with no strings attached available for the same 50% majority vote.